Asthma and allergies are common health issues that Dr. Eidgah treats. As an experienced family medical doctor, he understands how these diseases affect the quality of life for each of his patients. If you suffer from allergies or asthma, Dr. Eidgah offers hope and treatment within the New York City area from his office conveniently located in the East Village. Dr. Eidgah sees patients from around the surrounding area including Union Square and Downtown New York. "Excellent and caring doc! Takes the time to listen and really cares. Highly recommend"
"From my personal experience, he has been the best primary care doctor I've ever chosen." "Dr Mahyar Eidgah is the only Doctor I trust with my health." "I felt totally comfortable with him! His bedside manner is superb..."
"Dr. Eidgah is knowledgeable, friendly, caring and compassionate!" What Types of Allergies Are There? There are many types of allergies. When Doctor Eidgah talks about allergies he is mostly discussing airborne allergens such as pollen. According to the American College of Allergies, Asthma, and Immunology, somewhere near 17 million Americans suffer from allergies. Of those, more than seven million are children. Allergies are common, and people who suffer from allergies should seek out treatment. Many medications can help, as well as a few direct approaches. Aside from airborne allergies, people also suffer from food-induced allergies, medication allergies, and environmental allergies too. Dr. Eidgah encourages you to discuss potential allergens with him during each of your visits. How Does Dr. Eidgah Test for Allergies? The most common method to test for allergies is with a skin-prick method. During this test, the doctor places a diluted substance (allergen) on your skin using a blunt needle. The object is not to inject the allergen simply place it on the surface of the skin. The procedure is very mild, and patients feel very little discomfort. The results of the skin-prick method take about 20 minutes and the overall test and appointment typically take an hour. The second type of skin allergy test is used about 25 percent of the time. It is the intradermal test. In that test, the allergen is injected into the skin using a small gauge needle. The goal is to place the allergen in the body and then monitor the results. The intradermal test is given when the skin-prick test's results are not clear. What Are the Treatment Options for Allergies? That answer is dependent upon the type of allergies from which you suffer. Some allergies require medication to help suppress their results in your body. Some require physical action, such as avoiding food with peanuts in them if you are allergic to peanuts. For environmental allergies, the treatment might be to replace your carpet, limit exposure to pets, or install a high-grade filter on your HVAC system. Whatever the treatment, the process always begins with testing. If you have not been allergy tested, Dr. Eidgah encourages you to do so. "This doctor has been my primary care doctor for many years, as well as my whole family. He has such a amazing bedside manner, and always knows just what to do"
"Dr. Eidgah has been my primary care doctor since I have moved to NYC. 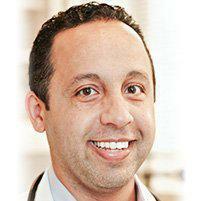 From my personal experience, he has been the best primary care doctor I've ever chosen." "Dr. Eidgah is a great primary care doc! Highly recommend." "Dr. Eidgah is by far the best primary care doc I've seen in NYC! He is professional, friendly, compassionate and offers great advice! His staff is also competent"